Effective Date July 12, 2016 The Food Regulations were amended to be consistent with the current 2013 Food and Drug Administration’s (FDA) Food Code and the Supplement to the 2013 FDA Food Code. Many of the changes simply refine and provide further clarity to our existing regulations. A new provision specifies requirements for food establishments that wish to allow dogs in an outdoor dining area. The VDH changes are adopted concurrently with the Virginia Department of Agriculture and Consumer Services’ (VDACS) adoption of the current 2013 FDA Food Code and the 2013 Supplement. Violations previously designated as “Critical” or “Non-critical” will now be referred to as “Priority”, “Priority foundation” or “Core” to better identify risk-based controls within the Regulations. Priority identifies a provision in the Regulations whose application contributes directly to the elimination, prevention, or reduction to an acceptable level, hazards associated with foodborne illness or injury and there is no other provision that more directly controls the hazard. Priority foundation identifies a provision in the Regulation whose application supports, facilitates, or enables one or more Priority items. Core identifies a provision that is not Priority or Priority foundation and that usually relates to general sanitation, operational controls, sanitation standard operating procedures (SSOPs), facilities, equipment, or general maintenance. To find a list of the most up-to-date Guidance Documents, please see the Virginia Regulatory Townhall website All Food and General Environmental Services guidance documents can be found in the “ENV” section. 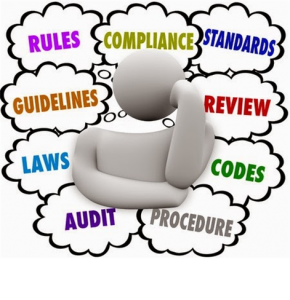 Guidance documents contain further explanation of a regulatory process or define a standard put in place by the Office of Environmental Health Services.